On Tuesday, individuals from across the MOJ's Corporate Services, including Estates, HR, Technology, Shared Services and Digital Services came together. All in attendance were leaders in some capacity, be it of teams, of areas, individual champions, line managers, middle managers or senior managers. 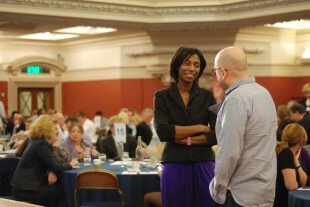 This was the Corporate Services Leaders Event, hosted by Matthew Coats, Director General of Corporate Services at MOJ. Thanks were given for the valuable part Corporate Services plays in delivering government and departmental plans. Ursula Brennan highlighted the work that was going on ‘behind the scenes’ to help MOJ meet the significant spending cuts without compromising its public service goals. Michael Spurr reminded us that ‘a quiet day in a good prison’ never makes the headlines but shows how well we’re doing our jobs. The opportunity to ask questions of some of the most significant individuals in government was welcomed. Questions from Digital Services centred on the importance of leadership and how it would help change cultures elsewhere in the MOJ and government. 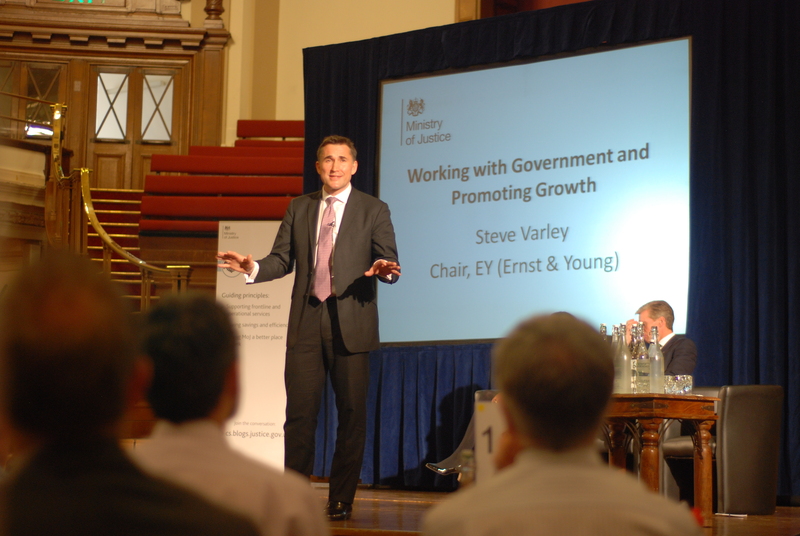 It was recognised that Digital is central in leading part of the change, particularly changing the ways that we have traditionally worked so that the MOJ is a more effective, efficient and user-friendly organisation. 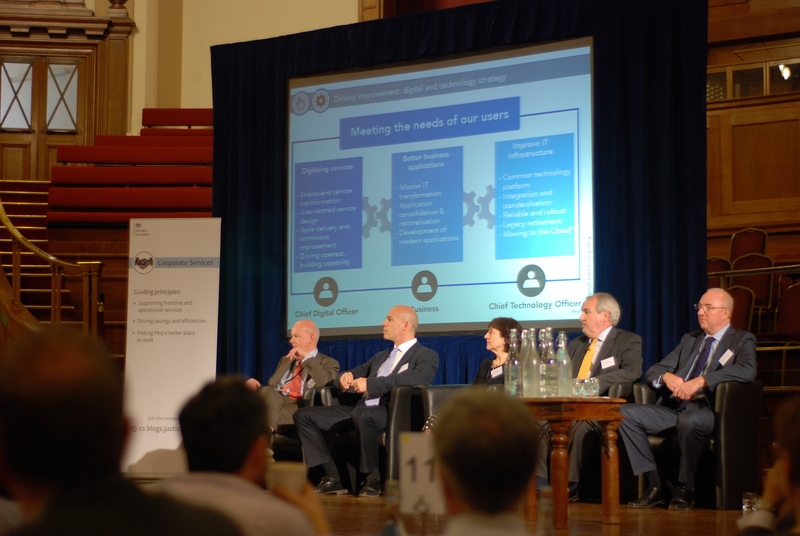 Paul Shetler, MOJ's chief digital officer, with a background in start-ups and the financial services, spoke about the excitement that he felt after joining the directorate because of the ‘appetite for change’ in the organisation and the speed of development. Other questions asked where the levers for change were in such a large organisation and the government as a whole. In response, it was symbolic that the Corporate Services were represented together, showing that the change we are interested in could be only be achieved together. As an example, Ian Pearce from MOJ Estates spoke about the innovative new ways of working that he was piloting, including allowing people to work from ‘commuter hubs’ and local courts. He stressed that in the digital age, having direct sight of people shouldn’t be where the emphasis lies; instead we should focus on what people produce, not where they produce it. All in all, the day was a valuable spotlight on the commitment to achieving good things across MOJ Corporate Services. And a reminder of the basic importance of working together to achieve wider government goals and aspirations.